For years Amanda was living a life out of balance, working in a fast pace corporate environment. Extremely driven, over achiever Amanda rarely thought little about her health until she ran into problems from work related stress, developed chronic adrenal fatigue and thyroid problems. Can you share a little bit about your situation before you joined The Change School program? Before Change School I was at the beginning of my journey into becoming an entrepreneur. I had a few ideas and certainty that I wanted to start a business. I was recovering from work exhaustion and determined to quit working in an industry (environmental sustainability) that seemed to be going backwards. I wanted a vocation that would allow me to get direct feedback that I was making a difference. I chose to work as a health practitioner because I wanted to make a real difference to people's lives. I was ready for change and when I talked to Grace I felt warmth and a genuine connection and knew that this would be right for me. The thought of 4 weeks dedicated to my life and vocation seemed ideal to set me on the path. What were your biggest struggles with making a career + life change? I didn’t know how to move from a job person to an entrepreneur and business woman. I needed a road map and time out to put things in place. The Change School was the first important step, and was followed by many more steps. They say that success follows many failures or lessons learnt. I have learnt much in establishing my business, and I consider myself to be a person of influence in my field. All that I have learnt is supporting my new step of 'going global' with my business. I know how to be campaign driven and to create collaborative partnerships. I have a great link to the millinnial generation which I know is inheriting all the global health and social problems created by previous generations. I know that part of my job is to be of service to that generation as they have to solve most of those problems. I do this by collaborating with this generation. After five years away from environmental work, I am bringing back my love for planetary health - I now work for people and earth, and this really excites me. I feel that women are emerging very quickly now to use their power and bring about change. I also feel that men are suffering and somehow need help to catch up with the advances that women are making. Much of my work is with women, and more recently it involves working with women who are doing social and environmental change. I love my work because it is both a blend of art and science. People are all so unique and I get to play a role in their healing and see them grow and change so much. I help many women who are great leaders and change makers who are deling with stress, insomnia and chronic health conditions. The greatest joy is when people gain their health back. Can you share about your current career and business? I am a food as medicine and personal lifestyle practicioner. I specialise in working with high achieving women who have come to a crossroads with their health. I help them to create abundant energy, healthy bodies, and inspired productive lives. I also work with men. I am a behaviour change specialist, intuitive healer, author and educator. I am based in rural Australia and work remotely with clients both locally and globally. The women I work with range from those leading change in the Pacific nations, women who are creating powerful new ways in the tech fields, CEO's and young women building empires in fashion and health areas. I am part of a global health practicioner group that are 'root cause practicioners' who are working with the epidemic of chronic illnesses such as autoimmunue, cancers and neurological conditions that are responsible for most of the health burder on the planet today. How did The Change School program help you? The Change School helped me with knowledge, a community of like minded people, and the foundations for my journey from 2013 to now. What's your view on change now and how are you navigating the challenges you face with work and life today? This makes huge sense and guides me towards completing my goals, living for meaning and depth, and truly living a full and authentic life and business. This can be the hardest thing for people to find and usually comes with wisdom (knowledge and experience). I teach people to change through making small steps. I also help them to understand that change is not linear - healing and changing habits is often two steps forwards and one back. I had to do it with my own illness and I have defined a pathway for others to see life and their circumstances from many angles both suffering and thriving whilst suffering. In working with clients I use compassion (understanding suffering), education, behaviour change, intuition, active listening, research, knowledge - these are all personal tools. There are other tools such as health journals, meditation, nutrition, movement, reflection, contemplation and light heartedness. In developming my business I am now focused on collaboration as well as all the other business tools. 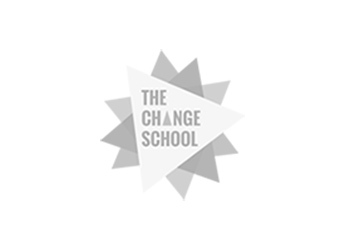 How do you think the program from The Change School impacted your current career trajectory and mindset? It started me off and gave me a good foundation. I went on to study health and do more business programs that enabled me to create assets, products and partnerships, profiles and the ability to pitch for what I want. The Change School gave me confidence and inspiration to keep going. It has always been with me on my journey as are the people I did the course with. What’s one piece of advice you would share to others who are going through a career or life transition? Be brave and bold. Be your authentic self and don’t follow the masses. Stand out above the masses. Find a great mentor and build community that you can actively contribute to and gain benefit from. Take risks and if you don’t yet believe in yourself, get on with making that a priority as the universe supports those who do believe in themselves. Lastly, always look after your health as your body and mind are you and without love of you everything can be corrupted and dis-eased. If you're thinking of a career change and making a bold move in your life or work join us for our signature program Confidently Create Your Bold Career Move - our fully immersive self-paced online course that allows you to find the career of your dreams. Don't wait any longer, get started today!